Zehnder designer radiators and towel rails for bathrooms & living spaces. We also sell high-quality heat recovery and ventilation systems. 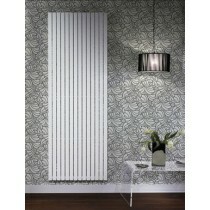 Zehnder designer radiators and towel rails for bathrooms and living areas. Zehnder make things easy, whether you are a homeowner, a plumber, a retailer or an architect for domestic buildings you can find suitable products for your bathroom here at Fountain Direct. In our Zehnder collections you will find decorative radiators that suit any setting, stylish towel rails, extractor fans and other units for heat recovery as well as ventilation.